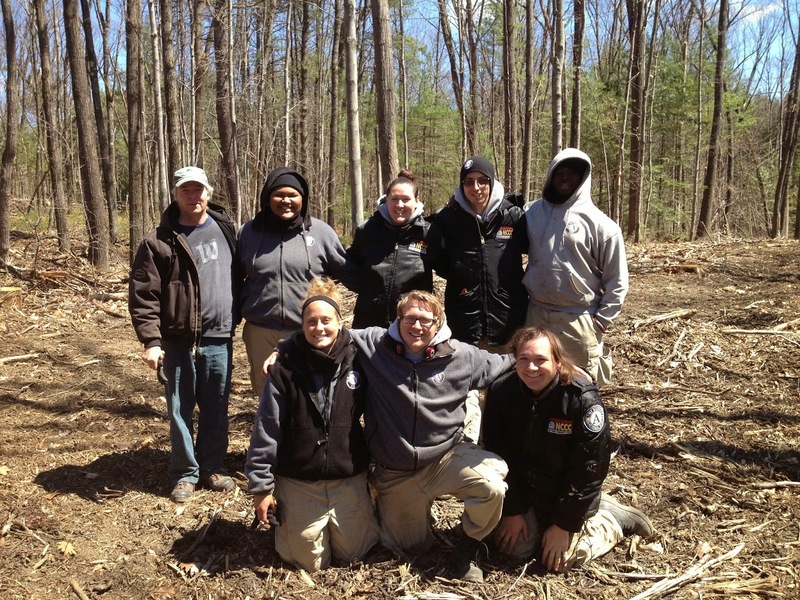 Seven members of the National Civilian Community Corps (NCCC) have set up camp at Ft. Dummer State Park where they are helping prepare the park for the 2014 season. Over the winter, more than 1,000 trees were removed from the park campground during a timber sale in and around the park. 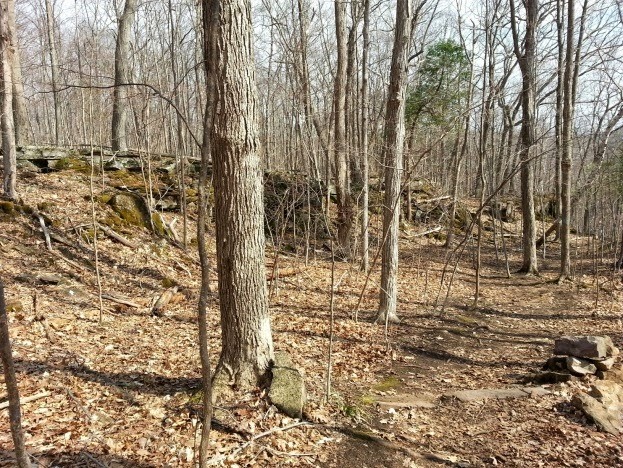 The project included thinning to encourage growth of low vegetation between sites, removal of hazard trees, and clearing of several areas for planned infrastructure construction. Although the project resulted in numerous long-term improvements to the park, in the short term it resulted in a much larger than usual spring cleanup for the park staff. As a result, regional park staff sought assistance from the NCCC to help prepare the park for its opening day on May 23. The snow has melted and the sun is starting the shine which means two things in Vermont: 1) it’s finally spring and 2) it’s mud season. 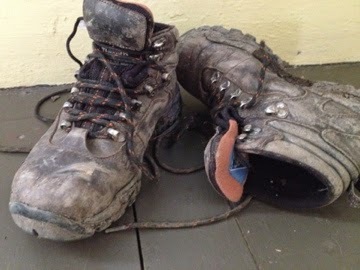 Hiking trails take a serious hit during this time of year, especially those at higher altitudes that are exposed to heavy spring rain and snow melt. When walkers trek over muddy trails, it can lead to soil compaction and erosion, damaging the trail and keeping it muddy longer. Help to preserve the trails this spring by sticking to recreation paths, dirt roads, and trails at lower elevations. But, for now, it might look a little barren. However, if you slow down as you walk through the forest and look closer…..closer……look down to the ground, you might just discover the first wildflowers of the year! Tiny Hepatica can be found among the dead leaves growing only about four to six inches tall, heralding the arrival of spring with their beautiful delicate blooms (see left). On Saturday April 5, volunteers gathered Grand Isle, Sandbar and Niquette Bay State Parks to celebrate April Stools’ Day. Wait! What was that you said? …April STOOLS…does that mean……?! Yes, exactly, the brown stuff: stools, not fools. This past weekend the Vermont Department of Forests, Parks and Recreation and the Lake Champlain Committee partnered to organize an “April Stools Day” park clean-up the first Saturday in April. Vermont State Parks encourages people to venture outside all year round, and this winter our parks have been well loved and used for outdoor recreation in many ways. Spring has finally arrived in Vermont and that means Vermont State Parks will be opening soon! Are you ready to explore, play, and camp in the parks this summer? Our website has lots of great resources to help you organize your next summer adventure. The Camping Tips & Tricks video series walks you through every step of the camping process from choosing a place to go, to setting up camp, to building a fire. Our camp menus, recipes, and shopping lists have ideas for different breakfasts, lunches, dinners, and desserts that you can make at your site and the Activities section offers many ideas for games and projects that will keep everyone entertained. Check out the Weekend Itineraries to get inspired during your next camping trip! Vermont State Park's Knight Island State Parks Goes "Survivor"
Long known as a favored destination for naturists, Knight Island State Park is rumored to be out front in competition to play host to CBS's long running " Survivor " series. The reality show, which has experienced deflated ratings is looking to freshen the brand by heading North.Neither confirming or denying consideration of Knight Island, CBS executives that did not want to be identified have commented that the show does need a change of scenery. "Temps in the mid 40's at night, some black flies and poison ivy mixed in with clothing optional, yeah that's true reality Survivor". Local resident Cedric St Allaire, a 60 year resident of nearby Isle LaMotte commented on the rumors by chuckling and then adding "just don't let them go swimming. That will surely shrink the ratings".